After years of same design and working, finally, Google is coming with the Google Contacts update. The update is launched with a better design, hamburger menu and enticing improvements in the app. 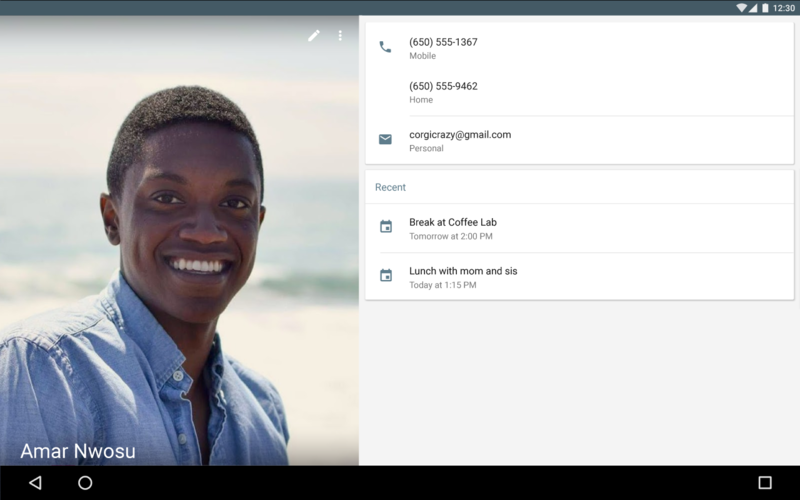 Google has successfully released the latest 2.0 version of the Contact app after a long time. The app was primarily used for storing contacts, but the Google Contacts update is different. Contact 2.0 is having different minor interface tweaks solving various problems from the earlier version. Google update made an effort to change the outlook of the app, but the contact list remained the same. Instead, there is a slight change in the slide-out menu which is now visible in account switcher. The main focus of the company was to make the contact list simple, clear and well-organised. Google made an effort in separating the contacts which are synced with Google accounts and giving an option of combining as per the will. Another visible update in the Contact 2.0 is the icon of the contact. Now, instead of a covering the entire screen, the contact picture comes in a circle. Google tried a new formula of moving the contacts to Google account using “Move” button rather than linking the contacts. Also, the ‘edit’ button has been shifted to ‘floating action’ button. There were complaints about the complexity of Contact App, but, Google made sure to rectify all the loopholes in Contact 2.0. In settings, apart from default settings, now Contact 2.0 is providing full access of exporting contacts to the account of choice. Also, with Android O, the user can easily select the accounts while exporting significant contacts. Further with Contact 2.0, the Android O’s Notification Channel come under the single channel named “Notifications”. The APK Code of Google Contacts Update is hinting about the single channel which can be used for export status. The unique part of the update is the new splash screen coming when the contacts are opened for the first time. With the update, backing up of files and encrypting them has been made easier and automatic. So save the trouble of finding updates, regular backups, and timely encryption for security reasons. APK Code [APK Mirror Download] of Google Contacts update is securely signed by Google, giving a green flag to the users with cryptographic signatures. The update file is safe and secure, free from bugs and readily available for download in the form of APK code. So, rather than waiting for the update in Play Store, just click on the code and give a fresh new look to your contacts.